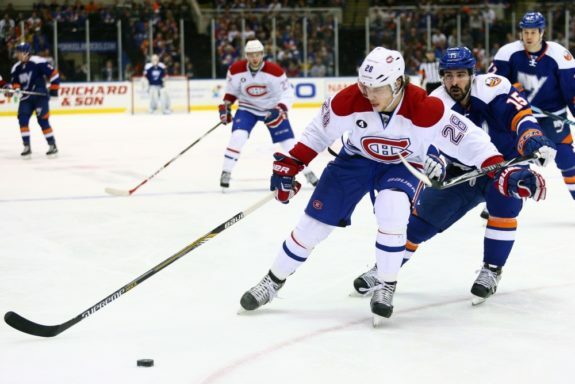 Nathan Beaulieu: Odd Man Out? The Montreal Canadiens have many decisions to make during the 2017 offseason. With the National Hockey League’s upcoming expansion draft for new franchise Vegas Golden Knights, it makes general manager Marc Bergevin’s job that much tougher. In less than a month, he and the rest of Habs management will have to decide who they will protect for the expansion process. The forwards, barring a curveball, should be set. Max Pacioretty, Brendan Gallagher, Alex Galchenyuk, Andrew Shaw, Phillip Danault, Paul Byron and Charles Hudon look to be the seven players to protect up front. If Alexander Radulov signs, it will most likely be after the draft to avoid having to protect him, and Artturi Lehkonen is exempt due to a lack of NHL experience. When it comes to the defense corps, however, it’s a bit of a different story. If the Canadiens choose to protect seven forwards, three defensemen and a goalie, it makes for a tough call on the back end. I presume that Shea Weber and Jeff Petry are locks to be protected. That leaves only one spot for Jordie Benn, Alexei Emelin, and Nathan Beaulieu. I don’t think Emelin is in consideration for that last spot based on age, play and cap hit, so I think it comes down to Benn or Beaulieu. Do the Habs cut loose the newly-acquired Benn? Or are the Canadiens ready to wash their hands of the young Beaulieu? Let’s discuss. In short, Beaulieu’s season was complicated. At the beginning of the year, he was paired with newcomer and superstar Weber on the Canadiens’ number-one pairing. He was expected to grow into the offensive, puck-moving defenseman role that P.K. Subban left behind. Let’s just say that never happened. Whether it was fair or not to expect that from the young defender is debatable, but the fact is, he failed to live up to the organization’s expectations. Throughout the season he bounced around the six defensive positions and ended the season as a healthy scratch in Game 6 of the Canadiens’ playoff series against the New York Rangers. Despite all of that, the 2016-17 season wasn’t all bad for Beaulieu. He posted 28 points in 74 games, which was an improvement from 2015-16 where he had 19 points in 64 games. Another thing to consider is he’s only 24 years old. Usually, young defensemen would be given a longer leash but with this year’s expansion draft, the Habs will have to make a premature decision on his future. Another thing that doesn’t help Beaulieu’s future prospects with the team is the signing of KHL defenseman Jakub Jerabek. Jerabek plays a similar game to Beaulieu and will be a much cheaper option for the Canadiens. We could compare these two players in many ways. You could look at it from an analytical perspective, the eye test, offensive statistics and more. I’d expect Bergevin and company to go through all of that before making a decision. Unfortunately, we don’t have the time to go through that so let’s just look at it for what it is. We went through Beaulieu’s situation and now we need to assess Benn’s. Firstly, no one expected his trade to the Canadiens or knew what to expect when he came to Montreal. Let’s just say the Canadiens were pleasantly surprised. Benn was a force and jumped right into coach Claude Julien’s good books. He was relied on heavily as the season went on and into the playoffs. Another plus for Benn is his contract. He’s under team control for another two seasons at a cap hit of only $1.1 million. This is considered another knock against Beaulieu, as the young defenseman is an RFA (restricted free agent) and is in line for a raise. So if you compare the two side-by-side, especially when you add in Benn’s four goals from this season (a tie with Beaulieu), it’s hard to make an argument to keep the youngster over the proven veteran. If I were sitting in the general manager’s chair come expansion time, I would go with Weber, Petry and Benn. That means I would trade Beaulieu before the draft to avoid losing him for free to the Golden Knights. I see both sides to the argument. Beaulieu is young and could develop into something more than he is today; that’s entirely possible. 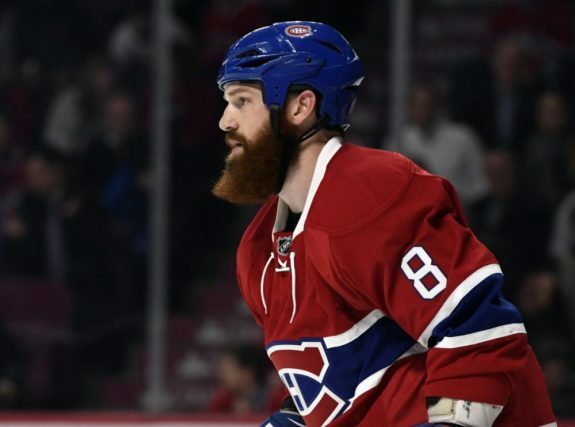 The other side is he just may never be the top-four defenseman the Canadiens need him to be. With the win-now situation, the Habs are in, I’m going to go with the established, proven defenseman in Benn. The Canadiens aren’t in a position to gamble, and Benn gives them a safety net. It’ll be tough separating with Beaulieu but it’s the best move for the Habs going forward, in my opinion. Since my last name isn’t Bergevin, I don’t make the decisions, so it’s anyone’s guess how this will actually shake out.